DroidGameCheat is all about Android and iOS games. 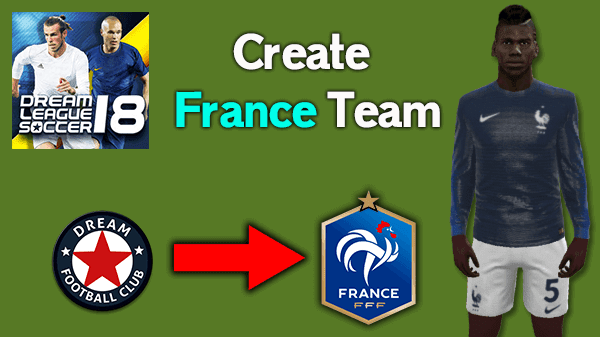 Hello Friends, My previous articles about how to create DLS 18 France team. 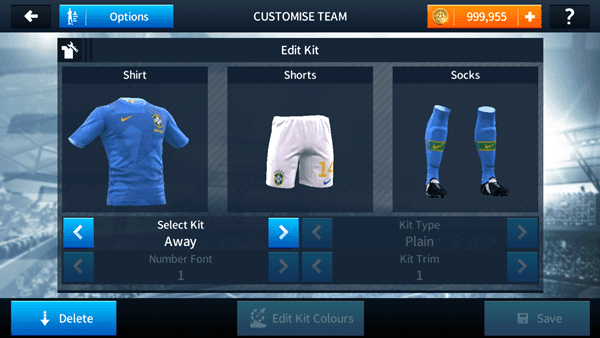 In this post, I am going to show you how to create DLS Brazil team kit logo and players in Dream league soccer 2018. 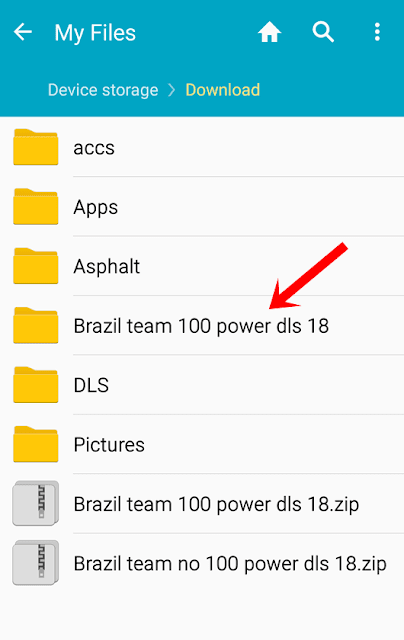 In the last post, I gave you one download file but here I give you two download files that one is Brazil team with players 100 powers and the second one is Brazil team players without 100 power energy. And then this time I increased the coins with 1million DLS 18 coins because many viewers requested. 3. Get 1Million DLS 18 Coins. 4. Unlimited Players updates that mean you can update players skills more than three times. And other all substitute players as per FIFA world cup. 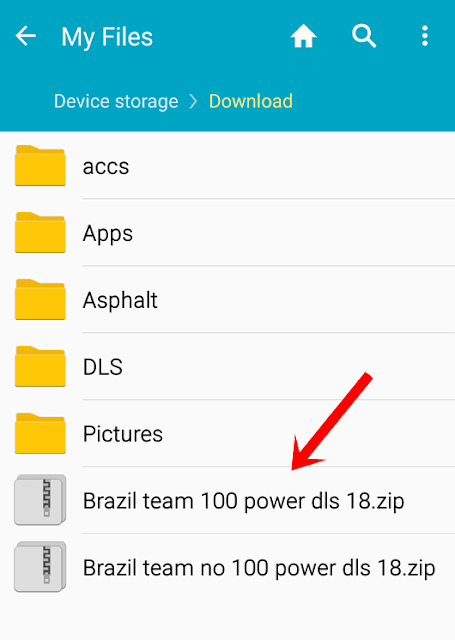 At first, you need to "download DLS 18 Brazil Team data zip" file from below link. Here I give you two download link with and without 100 power energy data file. Just select which you want. 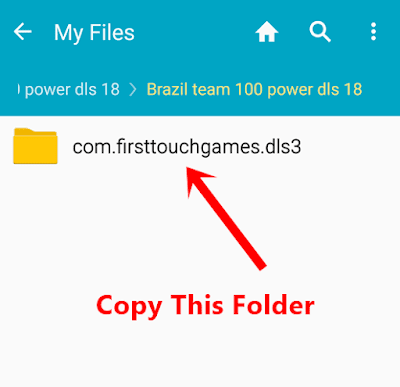 Now COPY the dls Brazil Team "com.firsttouchgames.dls3" folder. 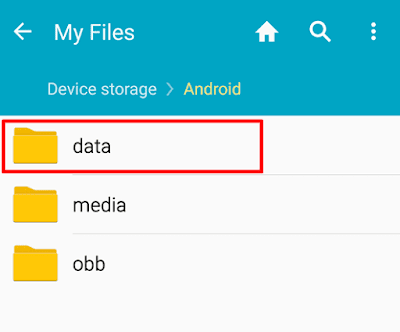 Then "Paste" here the copied brazil team data folder. That's it. You have done all the steps. 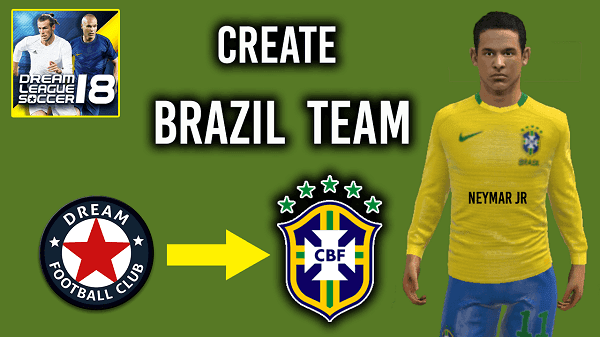 This is the easy and simple way to hack dls 18 brazil team kit logo and players all 100 power energy. If you like this article please share with your friends and don't forget to leave your comment below about the data it works or not. Hi guys, in this article I am going to show you how to create France team kit, logo and all players with 100 power energy in dream league soccer 2018 game on Android. We all know France team won the 2018 FIFA world cup. 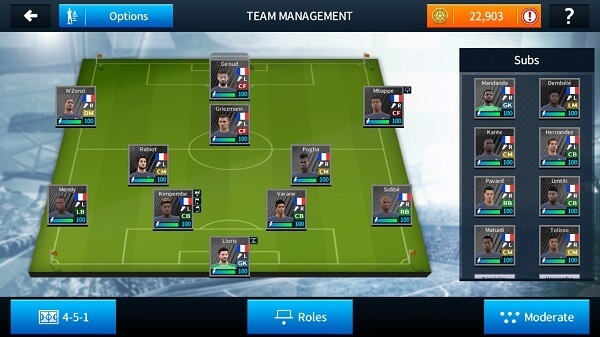 After the winning many DLS game players asked me on my Droid Game Cheat youtube channel that, "we need Dream league soccer 2018 France Team profile.dat file", how to hack dream league soccer 2018 France team?, Can you please provide me DLS 18 France Team?, How to dls 18 France hack? and many more questions. So here I give you the profile.dat file. Just follow all the steps below. All France national football team players as per Fifa world cup 2018 squad. All the team kits (home & away) & logo. Team players all 100 power energy. You can get the team within 2 minutes by doing only copy and paste a file. And more all substitutes players. In this dls France 2018 profile.dat file, we include all the France team kits home kit, away kit, goalkeeper home kit & goalkeeper away kit and team logo. So you don’t need to add the kit and logo separately. 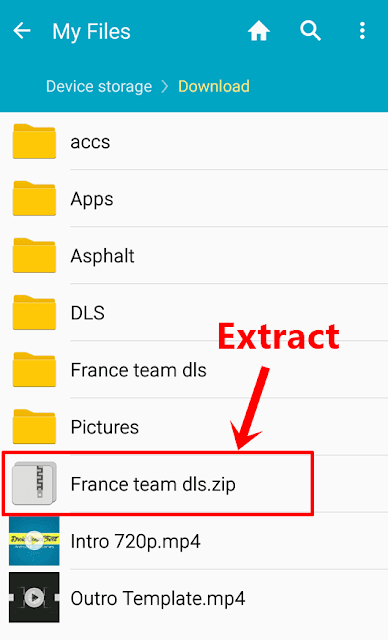 First, download DLS 18 France team data zip file from below link. 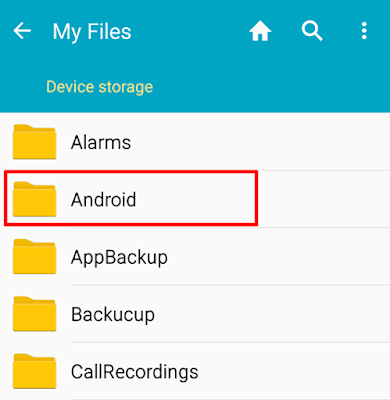 After downloading the file just go to the download folder. Now "Extract" the France team dls zip file. 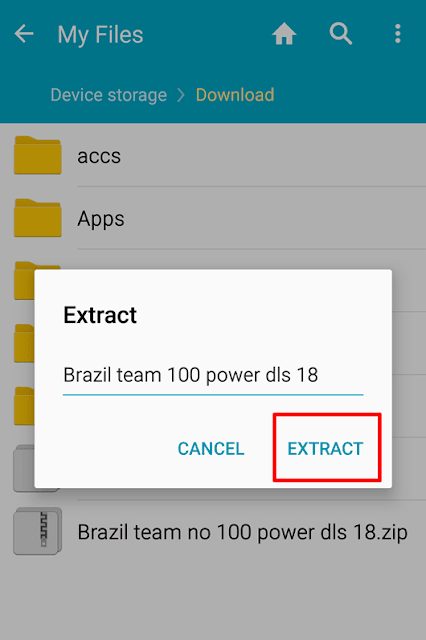 if you don't have extract option on your mobile then just use "ZArchiver app" to extract. you can download the app from play store. 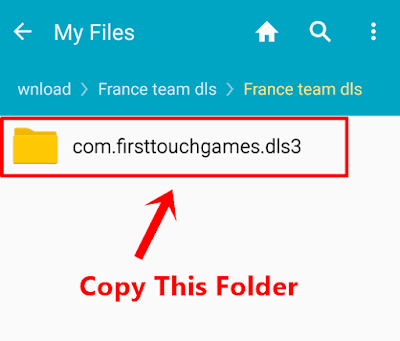 After extract, just open France team dls folder then copy "com.firsttouchgames.dls3" folder. 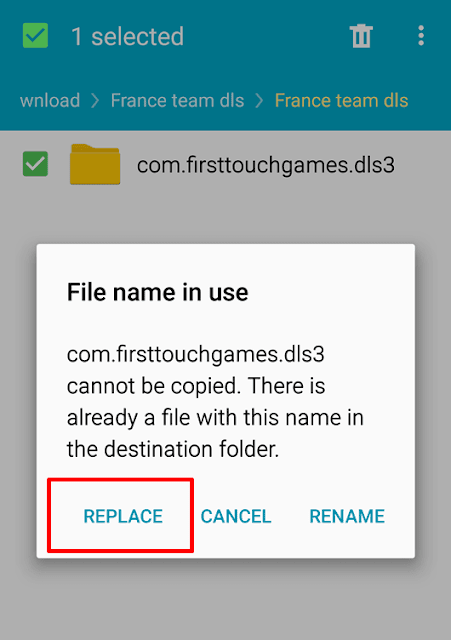 Now "Paste" here the copied France team com.firsttouchgames.dls3 folder and "Replace" it. That's it friends. You have done all the steps. Now you can play both on online & offline with the amazing France football team. This is the easy way guys to hack dls 18 France team. Here we do not use any dls 18 France mod apk. I hope you guys you enjoyed this article. If you like this article then please don’t forget to share with your friends through social media accounts like facebook and twitter. If you have any questions or problems while doing the above steps then feel free to leave your comment below, I will reply soon. DroidGameCheat is a blog for Android and iOS Games, where we provide you Gaming videos, Android Games Data, Games Download Link and Howto Tutorials.